PF and Lungu can’t be the ones in the forefront mourning their victims because they’re the killers of the black mountain victims. They’re vicariously responsible for the fatalities that have happened at the black mountain as there was no policy decision by government to authorise the illegal transaction and the handing over of the dangerous dump site. No PPE ( personal protective equipment) was either provided or enforced to reduce on the number of casualties in the event of an accident at the time of allotment. The untimely death of the young people clearly and squarely falls in the hands of Mr Lungu. Mr Lungu must take full responsibility and help lighten the national burden by stepping down. He can’t be been seen to be the very one in the forefront mourning the victims of black mountain like a wizard. It is his insatiable appetite for power in the first place that has brought this country this tragedy. 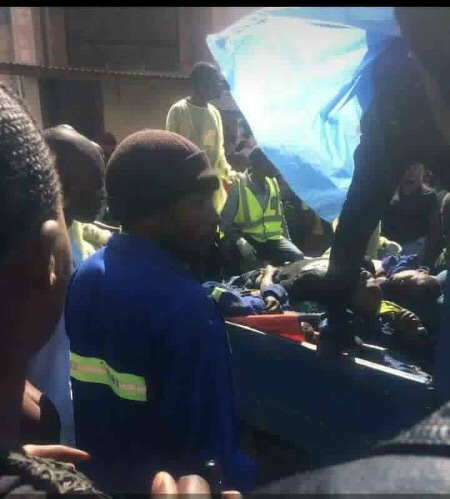 It would be extremely insensitive and a mockery for Lungu and his PF minions to be seen mourning the victims. Without doubt he is culpable and a suspect responsible for the death of the young people. He made his bed and he must lie in it.